Dr. Rod Parsley has prepared a vital message for this nation – for right now! You must get this valuable information into your heart. Dr. Parsley believes it is so crucial that you receive this powerful and informative book Still Silent No More as soon as possible, for a donation of $10 or more, he wants to send you the Exclusive Hardback Edition PLUS the digital eBook immediately by email. Your generous donation will help bring the message of moral clarity to men and women across our nation and the world through our Breakthrough broadcast along with our local churches and missions outreaches, and also assist our Bridge of Hope relief network. For a generous donation of $70 or more, you will ALSO receive Dr. Parsley’s New York Times Best-Selling book, Culturally Incorrect, and Living On Our Heads – the complete trilogy. 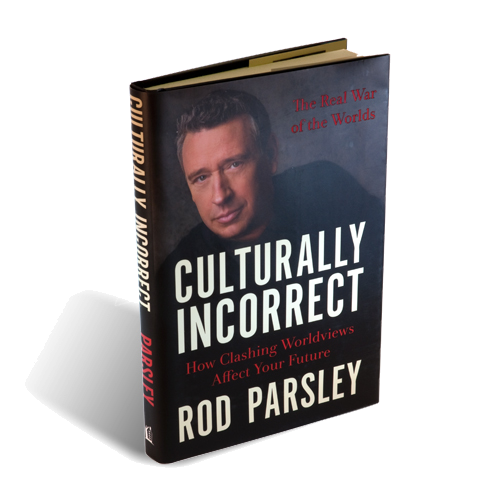 Confronting the challenges of our culture in the 21st century, Dr. Rod Parsley has a perspective that enables him to speak forthrightly to the issues of our time. Parsley still believes that a consensus based on common sense and incontrovertible truth can be crafted even in the midst of heightened and polarized passions. With the clarity of a prophet and courage born of conviction, Rod Parsley once again examines the causes of a nation in crisis. Beset by enemies without and emptiness within, America is undergoing not just a meandering drift, but a tectonic shift which mirrors the demise of mighty civilizations of the past. More than a decade after Silent No More, Parsley once again lays out a strategy that will prevent national decay and decline. Rod Parsley speaks to both sides of the political spectrum – the believing and non-believing, the socially concerned and the economically conscious. He analyzes issues traditionally belonging to the political Left and commends them to the Right, and brings the concerns of the secular to the attention of the religious. The result is a startling vision of a more generous, compassionate, united and moral America – an America that once was, and can be again. 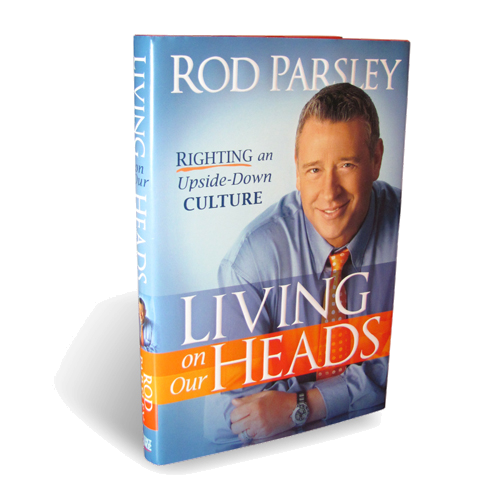 Rod Parsley addresses the social, political, spiritual and philosophical polarization with unabashed candor. Chapter titles include: Surveying the Battlefield – Why Worldviews Matter – The Battleground of Science – Fighting for the Life of a Dying Culture. See how current events are making this book even more a “must read” for this generation. We can run. we can hide…or we can engage. Read this book. And choose. We’ve been upside down for so long that wrong has become right and right is considered foolish. At one time, right and wrong were well-defined in our culture, but due to the never-ending attack on Christianity and Judeo Christian values, our nation is facing moral decline as a civilization. In Living on Our Heads, you’ll find out what needs to be done to get back to the biblical foundations on which this nation was built. With humorous analogies, inspirational quotes and uncompromising truth, Parsley addresses the issues of today, leaving you with the insight needed to right the wrongs in our culture and reawaken a godly perspective. Yes, Dr. Parsley! 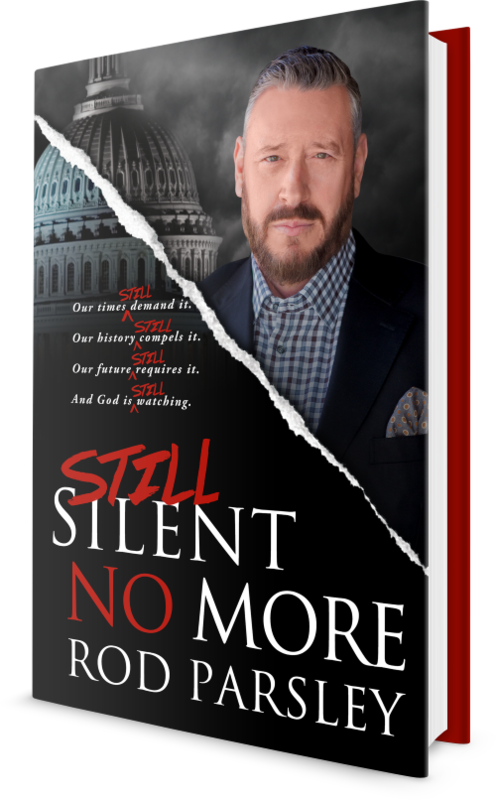 I want to receive Still Silent No More and to help you take the message of moral clarity to men and women across our nation and the world. Here is my generous donation. Please send me the Still Silent No More Exclusive Hardback Edition AND the eBook immediately by email. Here is my generous donation of $70 or more. Please send me your complete trilogy, including Still Silent No More (the Exclusive Hardback Edition PLUS the eBook immediately by email), Culturally Incorrect, and Living On Our Heads.